Discussion Still hitting my Titleist 910 better than anything!?!?!?! So WTF lol. Just got back from the range not too long ago. First time out this year here in WI and my #1 priority was testing out my new Srixon z565 driver which I haven't hit yet against my current gamer, which is the 910 D2. the 910 has a Motore Speeder vc 6.2 TS X in it. The z565 also has the 6.2 TS X, but also a Fubuki Alpha S.
Long story short, the 910 was still outperforming the z565, both in distance and in consistency. I even swapped between shafts with the z565, but the outcome didn't matter. Now these were with range balls, but at this point, I'm almost starting to think this is a useless journey. I've had numerous drivers now to try to dethrone the 8 year old grandpa, but nothing can beat it. Do you think it's time to just accept the fact that I have found my GOAT and just enjoy it??? Driver is easily one of my greatest strengths, and a lot of it has to do with how good the 910 is for me. My 910D2 isn't leaving the bag anytime soon. I'll be honest, I'm probably giving up a few yards (ball flight is a little lower than optimum for my typical course conditions) but the sound, feel, and consistency are more important to me. I have a 910 D2 and the TS3. i have no plans on letting the 910 go at anytime soon. 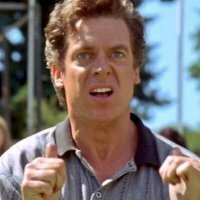 On a side note, I see you play the Srixon z545's. 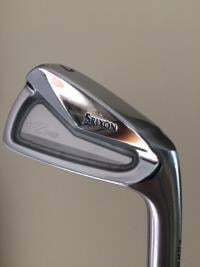 I do as well, and they are probably the best irons I've ever owned. They definitely aren't leaving the bag anytime soon. Stick with it! I can't beat my G25. 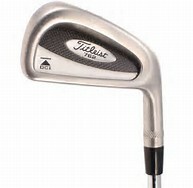 The VC 6.2 TS X performs very well for me in Titleist heads also. I played a 913 and a 915 with it and just recently moved to the TS3. I would've kept with the 915 but I hit the TS about 10 yard further. Of the pre-generation heads, I think the 910 is one of the best and most favored. No surprise so many still love it. That happened to me I went to club champion for an iron fitting and I had a set of SLDR irons that I have been gaming for a while but kept missing right (I am left handed) they recommended I just reshaft them because I hit them better than any club I tested. So that is what I did and i love the outcome. Shafts ended up costing more than what I paid for them new but they worked best for me. I just put a '16 M2 in the bag with a Diamana S+, and it's the best combo I've ever hit. Played 3 rounds with it and it was straight, long bombs all day. A few leaked right on me but they were noticeable heel strikes. Forgiveness was superb, and sound off the face is a nice, muted thwack. I had to see what all the hype was about surrounding the M2, and it's definitely a cult-classic for a reason. 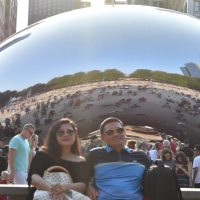 2016 M2 is a classic indeed! My Ping G25 kicked my 910 D2 out of the bag, and the G25 is still there. I can relate to your situation. I finally replaced the 910D2 with a EPIC SZ. Same Aldila RIP A60 shaft. No doubt, the EPIC is longer, but when it comes to to overall comfort over the ball, and consistency of drives, the 910D2 is in the bag on a tight golf course. I have made some recent adjustments to the EPIC that are getting me the same level of comfort, but it has taken a year. A friend of mine who used to play golf professionally still games the 910 driver and won’t change it for anything. He murders it. There definitely are longer drivers out there if you continue your quest. I would not have predicted the z565 to be a contender. It is a very solid driver, easy to launch and hit straight. Srixons are underrated. Not necessarily low spin, depending on what you do to it. Could check spin and add hotmelt near the face. 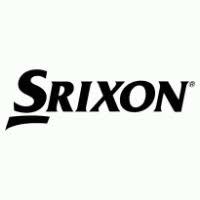 I owned and hit the 545 longer (with more weight toward face) and the entire point of the redesigned 585/785 was Srixon acknowledging its drivers needed a speed upgrade. 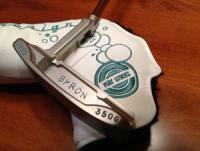 Now the 785 might be a contender with the right shaft. That one goes. But I play a standard Ping G400. That’s my comfort driver these days. The 2016 M2 does seem to be a little hotter than most and would most likely beat it at optimized loft and shaft. That’s only because most of the tech advancements the past several years have been about thinner clubfaces that preserve speed across a larger area. So if both drivers are optimized, drivers such as Epic Flash, Ping LST heads and TM M5/M6 usually will win on average distance. How much? Probably not huge differences if the 910 is getting it out there for you. When some lesser player with middling speed starts putting it past you with some robot-designed rocket launcher, that’s when you change! Not that I am all that , but just bought a new driver because I wanted one. Performance is similar to my current 2016 M2 rougue black combo, I just wanted a new one. Still playing my 915D2 and anything I test it against can't kick it out. Plenty long and very forgiving. If it works stick with it! Some clubs just work, stick with it Kody. Obviously to each their own, but I have always found that Titleist drivers just have the special sauce. Always good to have a faithful friend like that, stick with it for as long as you can. For a period of time last season, Adam Scott switched back to a 910. If it works for a guy on the Tour still then there is obviously just something about it. Owned two Epics, one M2, one other TM driver, and a 915 D2, and I keep going back to the 910 D2 (and the D3 when I'm really swinging it good). It's probably not the longest, but I find a fairly decent % of fairways. There is something about the shape of the head and the way it sets up for me that makes it particularly easy to aim. The Epics and the M2 were longer, but maybe only 10 yards, but I wasn't in the fairway nearly as often. Well, just bought a 12* 2017 M2 LOL. With one last ditch effort, I will try to subdue the 910. 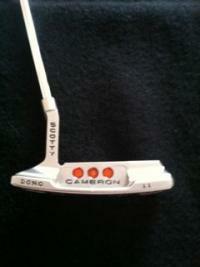 I will be putting the Speeder VC 6.2 TS X in it, just like my 910 has. My 910 outlasted my TS3, I know the TS3 is longer but I can score a lot better from the fairway and that’s what the 910 gives me. It's not the driver head, it's that shaft you are using, it's the best line Fuji has ever made. I have the VC 7.1 and I could never part with it. What exactly are you looking to gain overall, distance, avg distance, forgiveness, shapeability? I would honestly measure most variables like head weight, swing weight, total weight, loft and lie of your 910 to get a really good idea of what it is about that head that gives you such good results. And then, apply that same setup to your new head. 913 D3 for me, but like you, can’t find anything to better it. It’s the first driver I’ve ever really liked. Driving was never a strength for me and I can still have my struggles but I hit this so much more consistently than any driver I’ve had before it, it’s really changed my game. Last year I played mostly with a 3 wood as part of my minimalist golf approach, but this year I think I’m bringing the driver back into play and going with a 4 wood instead of a string 3 to cover both. Played one round with it this year so far and drove the ball quite well for the most part. I’m just rolling with it. 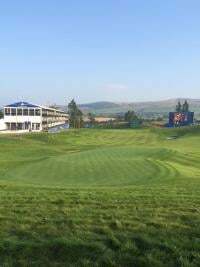 I had thought of going new driver this year, getting fit, all that, but after my last round I just can’t imagine there is much out there to be gained from it. I don’t feel like I need any more distance and I have better control of this driver than anything I’ve played before. Why mess with a good thing. I keep going back to my 910 D3 from 913 D3 then 915 D3. Some how I am more consistent with the 910 which brings confidence. First round yesterday, live in NH, the 910 was making an odd thunk sound. Thinking it was me just knocking some rust off the swing. Later thinking something is wrong, grabbed a wrench from my bag, bingo, somehow the shaft became loose during the winter in my basement. 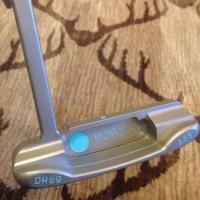 I had a 913D3 with Diamana D+ forever, moved on for a while but sold some clubs and had to game it again. Just as long as ever, and feels amazing... newer isnt always better, I need to remind myself. 910 was hard to beat that is for sure. I know the 913-915's could not kick it out of my bag. The Epic I played was long .... accurate it was not. The TS3 did kick everything else out this year. Key is to get fit with the right shaft combo to your swing. Every driver reacts different based on swing / shaft setup. I tested all of them like crazy looking for "the one" and all are really good you just have to find the right setup in each. That way it comes down to feel and looks in the end. I still game my 910d3 with ust v2. Still loving this driver. I’ve tried others and i still go back to 910d3, although i hit my g400 max from time to time. Distance wise it is about the same as all others out there. to her. even tried a r15, it will stay for quite some time but it’s fun to tinker.